A California native evergreen shrub that typically grows into a dense plant to 10 feet tall and 8 feet wide. Older plants can be taller and wider and even trained into small trees. It has gray bark, either smooth or fissured with age that hold leathery, oblong, serrated leaves with many small white mildly fragrant flowers in late spring to early summer that produce bright red pea sized berries in the winter. Happy in full sun to partial shade, it’s drought tolerant after the first few years, and can tolerate some water if drainage is good. Hardy to just below 0° F and useful down into USDA Zone 8. Toyon is a great specimen or large hedge plant used alone or mixed with Coffeeberry and Ceanothus and can also be kept many years as a container plant. 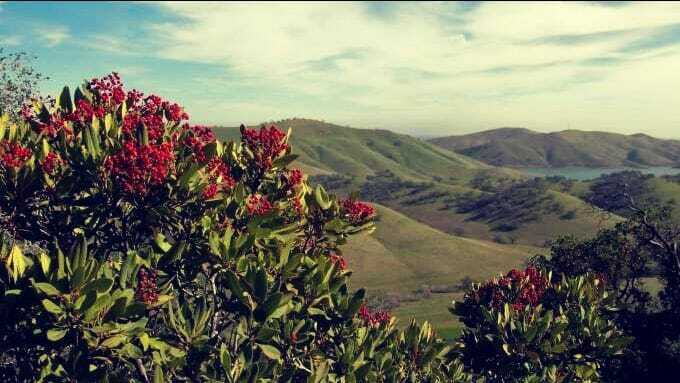 Read more about Toyon, or Christmas Berry from SM Growers.